I'm so excited to launch my NEW 12-week weight loss program! Development of this program came together as a result of my own personal struggles with weight, and what I learned along my journey. Permanent weight loss is NOT achieved by following a fad diet until you reach your goal weight. Permanent weight loss IS achieved by first, understanding the real reason(s) why you are over weight, and second, re-writing your future. A realistic plan that is within reach and not a quick fix approach. A plan designed especially to meet your needs. This program is for you if want to reach your ideal weight. If you've tried every diet out there! If you're tired of yo-yo dieting. If you're tired of counting calories. If you refuse to buy bigger clothes (but end up having to). If you're struggling with fatigue and are starting to have health issues. what's been stopping you from being your best self? 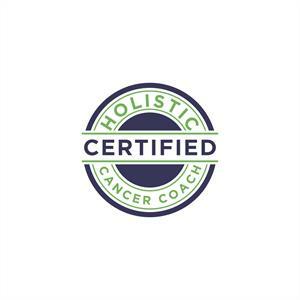 My role as a nutritional consultant is to inspire healthy change in my clients, and with my knowledge and resources, I offer guidance and support. Change doesn’t happen over night but given the right tools, my clients can gradually form new habits and start living healthier lives. It is ever so rewarding to follow a client as they transition into the healthy and vibrant person they are meant to be. By the time one of my Waist Watchers Weekly clients was approaching the end of the program, she had accomplished so much. I am so proud of her! I told her that if her food journal were color coded, it would look like a rainbow…that’s how fresh she has been eating! I asked her if she would jot down her thoughts on her weight loss journey, and although she wishes to remain anonymous, she agreed to share a little with us. Read her story here. YOU WANT SUPPORT FROM SOMEONE WHO HAS STRUGGLED WITH EXCESS WEIGHT HERSELF AND WON’T JUDGE YOU. YOU’RE TIRED OF YO-YO DIETING. YOU’RE TIRED OF THE SELF-SABOTAGE AND THE EMOTIONAL UPS AND DOWNS THAT GO ALONG WITH TRYING TO LOSE WEIGHT. Starting any diet and exercise plan takes focus, determination and planning, and research has shown that keeping a daily log plays a huge role in our success. To support your efforts, email me and ask for your FREE Food & Fitness Tracker.